As Mika says, “We expect people to notice our hard work. You have got to put it into words. You have got to learn to say it for yourself, and if you think someone’s going to say it for you, you’re wrong. No one is going to do this for you. When it comes to women and negotiating, often we aren’t sure how to talk about our strengths without feeling like we’re bragging. What do these issues all have in common? They are different ways of waiting for permission from someone else to go after the things you want. But here’s the thing about advocating for yourself: no one’s looking out for your best interests except for you. If you’re waiting for your boss to say, ‘Hey, I think you could really use a raise,” you could be waiting awhile. Why not take matters into your own hands? What’s the worst that could happen? When it comes to women asking for a raise, we’re concerned about how it will look to other people. Even the language we use can get in our way. Next time, try, “I would like…” instead. It’s straightforward without pleading or pushing. There’s a difference between coming across as confident—knowing that you have something valuable to contribute—and (mostly worrying about) coming across as obnoxious. There’s no substitute for confidence. 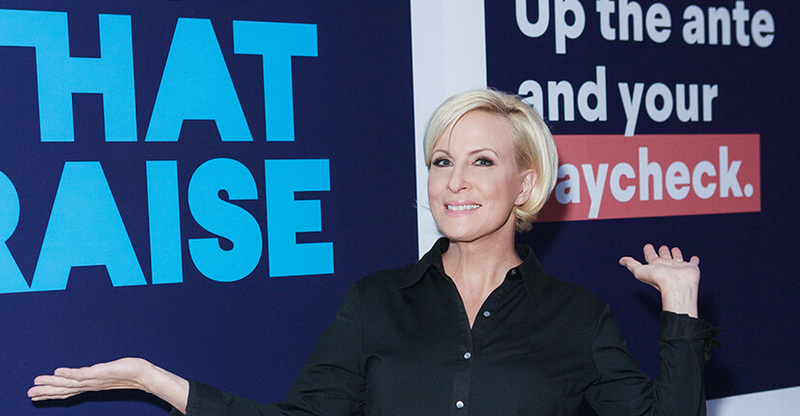 If you need a boost of confidence, however, Mika encourages women to seek professional career advice. “If you can get career coaching anywhere from your personal finance company, that’s perfect,” she says. Let’s say you want to ask for more but can’t quite figure out how to approach it. Here’s how you can start overcoming your fear: ask yourself for evidence. “Is there any evidence that what I’m fearing will happen? What will happen if I don’t do it? How much am I willing to pay to avoid an awkward conversation?” Mika asks. Next, you have to do the right research. Your goal should be to make it easy for your manager to say “yes” to your request. Good research often starts online, but should ideally finish in person. Salary comparison websites are a great place to start. SoFi has even created a free tool, available at getthatraise.sofi.com, to help you get salary benchmark data and create a personalized presentation about your accomplishments in preparation for the raise convo. Next, prioritize speaking to other people who would know how much someone in your role typically makes. This could be someone who has recently been promoted, a counterpart at a similar company in your industry, or even a leader or mentor who hires people at your level. Be sure to speak to both men and women as part of your research. Make sure to practice your request out loud a few times if you’re nervous. Getting data points from real people in your network will help give you great motivation to go for it and get that raise! Did you know that all SoFi members get access to complimentary career coaching? We have coaches who advise members on everything from polishing up their resume to getting that raise to landing a new dream job. Not a SoFi member yet? Sign up today! *Based on a “Get That Raise” survey of 1,138 SoFi members from 8/7/18 to 8/9/18. All opinions expressed in this article are those of the author and not necessarily held by SoFi—and are for purely educational purposes only. Nothing herein is intended to provide financial or legal advice. The advice provided for this article is of a general nature and does not take into account your specific objectives, financial situation, and needs. ABOUT Alexandra Dickinson Alexandra Dickinson is a negotiation expert who leads Membership strategy for Careers at SoFi.